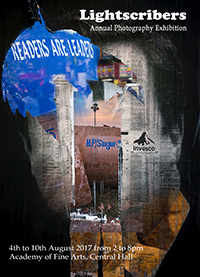 A crescendo of expression by the poets and photographers at Academy of Fine Arts, Kolkata (North Gallery) from 20th to 27th October 2018. 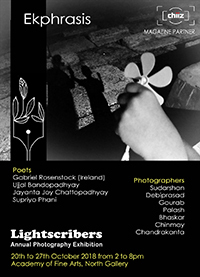 Lightscribers 5th Annual Photography Exhibition at Academy of Fine Arts, Kolkata (Central Gallery) from 4th to 10th August 2017. 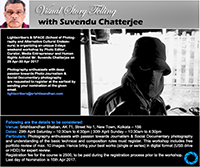 Lightscribers & SPACE are organizing a unique 2-days weekend workshop by eminent photo-artist Mr. Soumitra Datta on 22 Apr-23 Apr 2017. 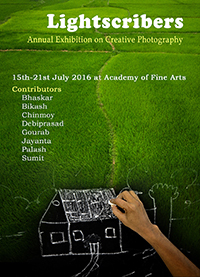 Lightscribers 4th Annual Photography Exhibition at Academy of Fine Arts, Kolkata (North Gallery) happened from 15th July 2016 to 21st July 2016. 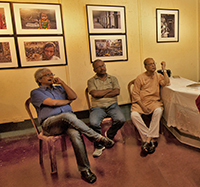 Inaugurated By: Sri Ramananda Bandopadhyay (Eminent Painter), Sri Soumitra Datta (Renowned Photo Artist). 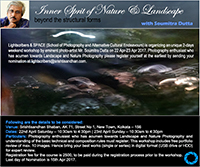 Exploring the poetry in nature with eminent photoartiest Soumitra Dutta. Lightscribers organized a unique 3 days assignment based workshop by eminent photographer Sri Soumitra Dutta on 20th March, 27th March and 2nd April. Large number of photography enthusiast took part in the workshop. 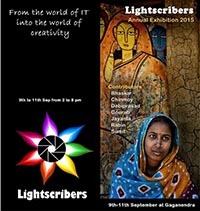 Lightscribers 3rd Annual Photography Exhibition at Gaganendra Exhibition Hall happened from 9th Sep 2015 to 11st Sep 2015. 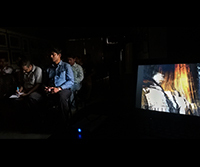 Lightscribers 2th Annual Photography Exhibition at Gaganendra Exhibition Hall happened from 20th July 2014 to 22st July 2014. 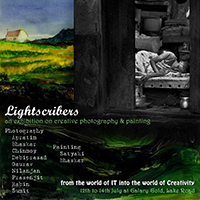 Lightscribers 1st Annual Photography Exhibition at Gallery Gold happened from 12th July 2013 to 14th July 2013. Inaugurated By: Sri Ramananda Bandopadhyay (Eminent Painter), Sri Atanu Pal, Sri Shameer Aich. 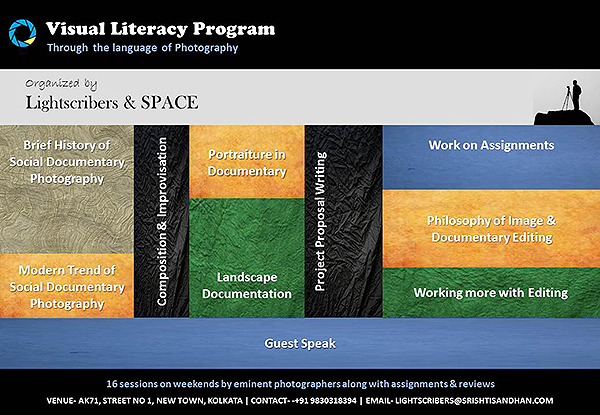 Photography Academy is a new initiative from Lightscribers in collaboration with SPACE. 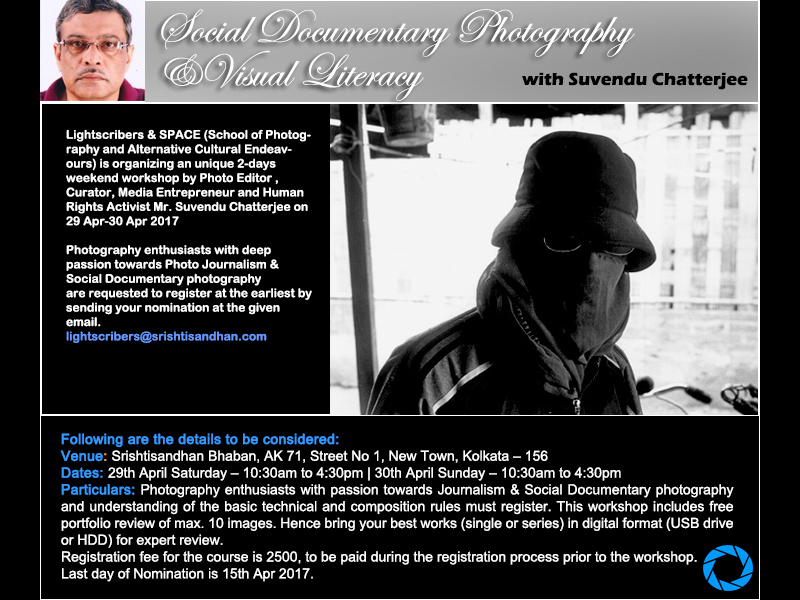 This initiative would promote Visual Literacy through the language of Photography and spread interest in this form of art. As part of this initiative, the academy would be conducting multiple curriculums and workshops for the photo enthusiasts. Following are the highlights. Please send your enquiry & nomination at the earliest by providing the details below or send email to lightscribers@srishtisandhan.com for securing your slot and be part of the Lightscribers family. We will get back to you with more details.